A Resource List Server (RLS) services application is a Session Initiation Protocol (SIP) application whereby a server receives SUBSCRIBE requests for a resource, and generates subscriptions towards a resource list. 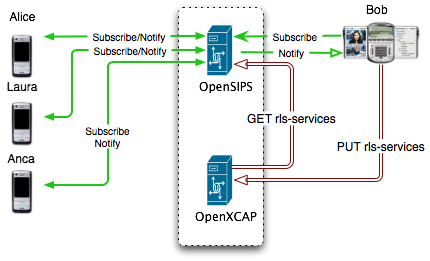 The received NOTIFY messages are the aggregated downstream to the original subscriber generating less traffic to the subscriber end-user device. This script implements sending SUBSCRIBE to a RLS server and receiving NOTIFY messages from it. The account name from which to read account settings. Password to use to authenticate the local account. This overrides the setting from the config file. overrides the setting from the config file. not need to be specified, but may be overridden". -l, --log-pjsip       Print PJSIP logging output (disabled by default).